Here at RideTo, we want to make taking your CBT test in Brighton as easy as possible, so we’ve put together this short guide on the best place to take your CBT test in Brighton. Brighton is a good place to take your CBT test, as it provides a good mix of city riding with some slightly quieter areas, and will also get you used to riding up and down hills. The closest CBT school to the centre of Brighton is Norton Motorcycle and Scooter Training, who are situated at Worthing United FC. The area is served well by buses to and from Brighton so getting there and back should be a doddle. Norton have been putting new riders through their CBT for over 16 years so you know you’re in safe hands with this friendly bunch. The roads in Worthing are slightly quieter than in the centre of Brighton, which make them great for learning to ride. Away from the coast is MTS, based in Burgess Hill. MTS is a family-run business, so you can be sure you’ll receive great customer service. Much like Norton, this site is in a rural location, so the roads are quiet and varied. 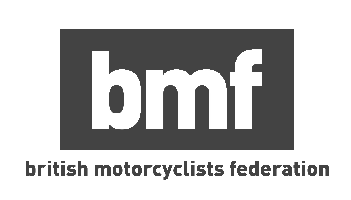 Bike Smart are the final CBT test centre located in the Brighton area. Situated in Haywards Heath, the training centre is surrounded by quiet, rural roads, away from the hustle and bustle of Brighton. All of the above training schools will provide you with a helmet for your CBT, and offer a wide range of varied machines for you to ride. How Hard is a CBT Test? CBT stands for Compulsory Basic Training, so you don’t have to worry about taking a test or exam. The CBT will sure you can handle your motorbike or scooter to a safe standard, and ride safely on public roads. The day itself is broken down into three simple parts. First you’ll learn how to handle your machine, and learn basic highway code in the classroom from your instructor. Once you’ve understood the theory, you’ll head outside onto the school’s off-road training area, where you will be introduced to your motorcycle or scooter for the day. You’ll then perform basic maneuvers on your machine around a set route. Once your instructor is happy you can handle the bike safely and confidently, it will be time to head onto the open road for a short assessment ride. During this ride your instructor is looking for you to be a safe and confident rider on the road. Once this is all over, you’ll be able to head out on the open road on your own. Why not live out your mod fantasies and hang out on the seafront with a bag of chips? Or if you’re feeling a little more adventurous, you could head to the South Downs National Park for some amazing scenery and great road. There are some amazing restaurants in Brighton, no matter what type of cuisine you prefer, and they’re always on the lookout for delivery riders. There are several companies in Brighton that are always on the lookout for delivery riders, so put your new skill to good use! If you fancy earning a bit of extra cash, head over to our delivery jobs section to find a job and that CBT test will have paid for itself in no time.